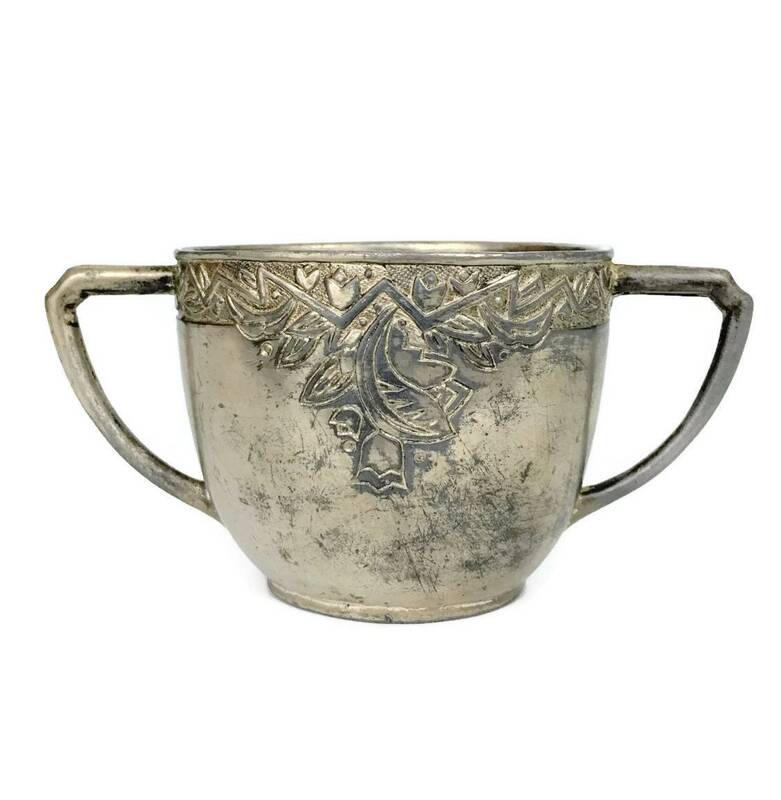 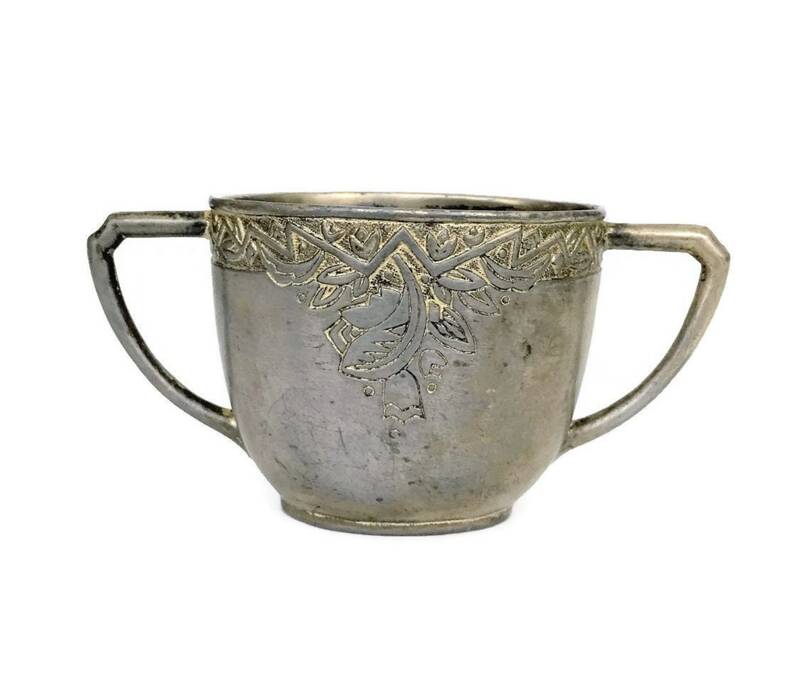 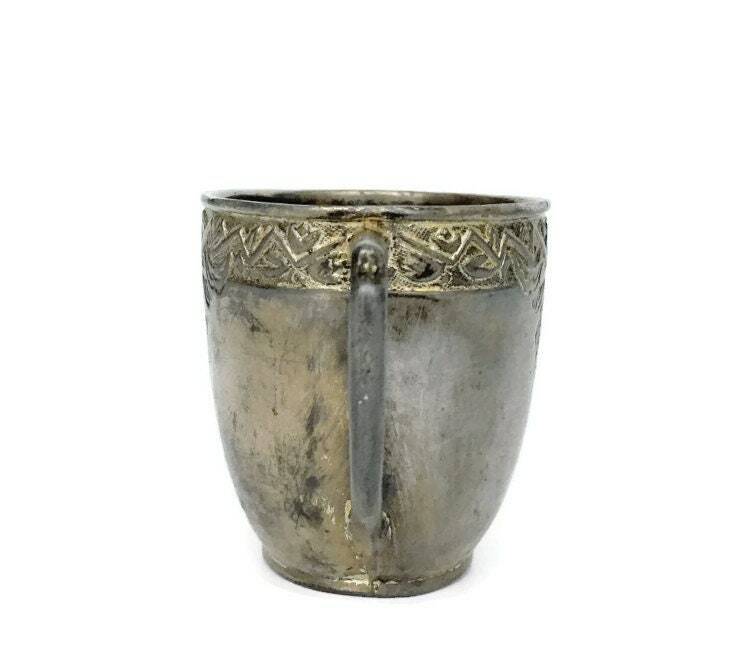 Sweet double handled baby cup - tarnished metal, not sure what type because there aren't any markings other than N.S. 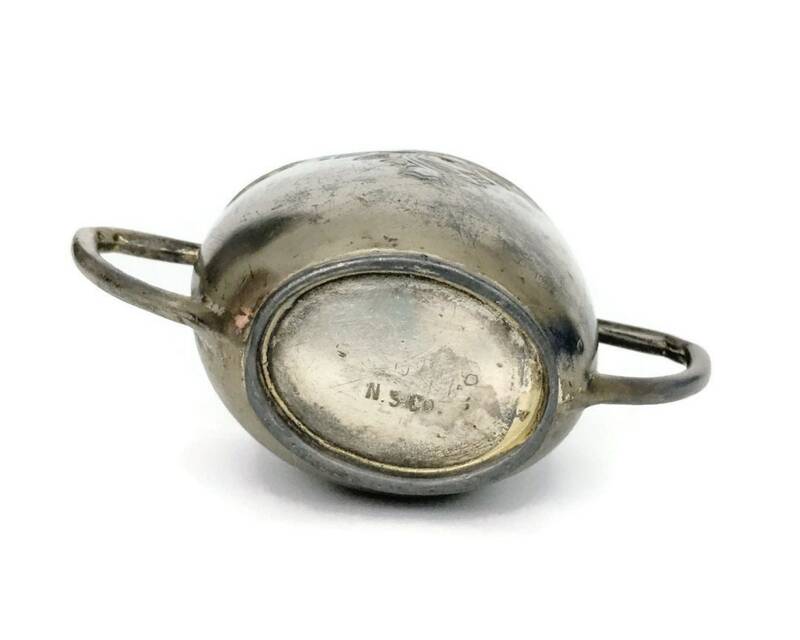 Co. Not sterling silver. 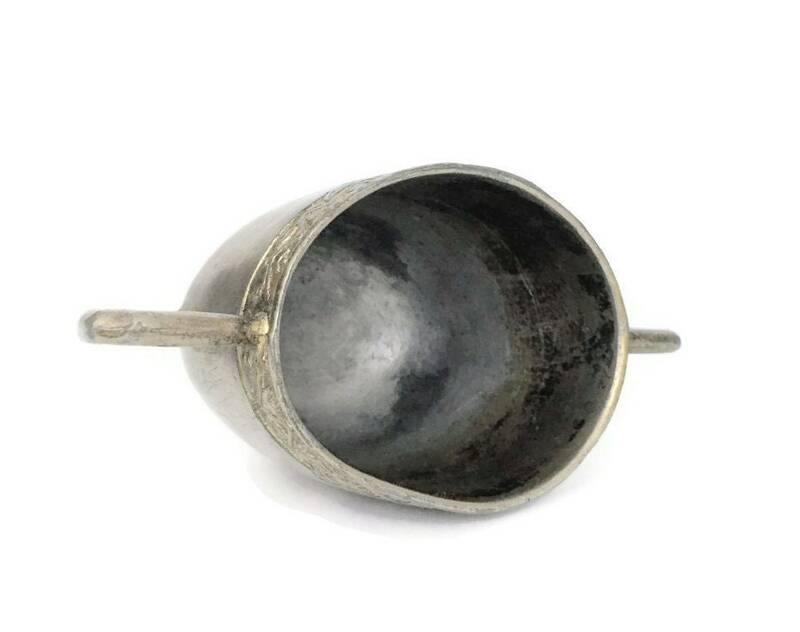 Heavy and beautiful - perfect for a baby keepsake.